Chicken, fish and beef soft-shell tacos served with tortilla chips. Coca Cola fountain products, Buzz Cola, and Duff, Duff Lite and Duff Dry beers. 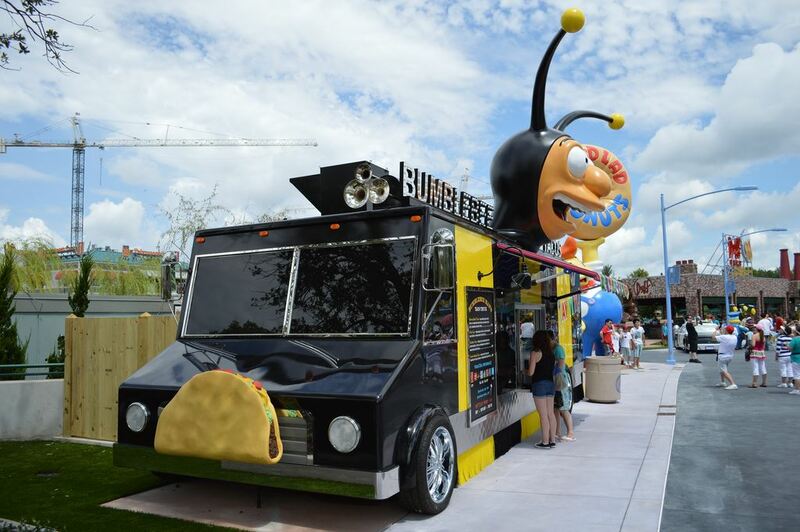 Capitalizing off the popular trend of food trucks, Bumblebee Man’s taco truck is the first eatery guests encounter walking into Springfield USA from the main gates. The taco truck is adorned with a huge taco on the front bumper and even bigger Bumblebee Man head coming out of the roof. The theming continues inside the truck as team members are dressed up in cute little bee costumes, complete with antennas on their hat. Bumblebee Man’s taco truck serves fresh, made to order, soft shell tacos. There are two types of tortilla shells, corn and flour with flour being the default selection if you do not state a preference. 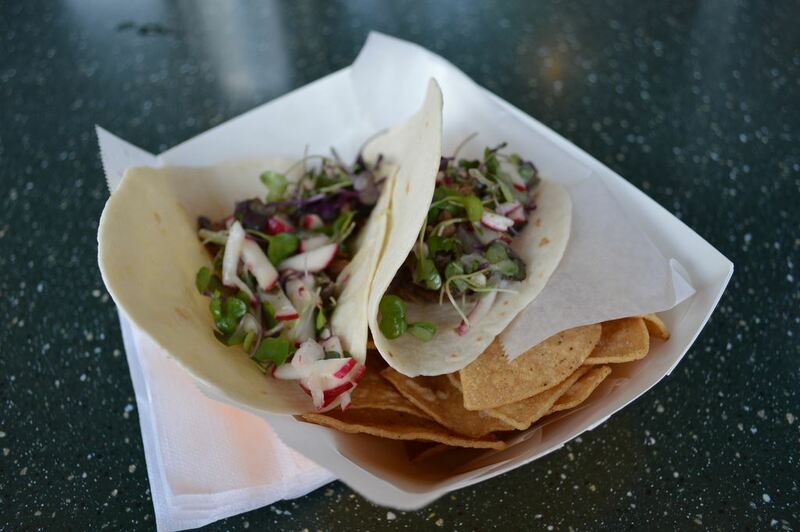 Vegetarians beware, each taco selection includes fish, beef or chicken. How are the tacos? Muy bueno! 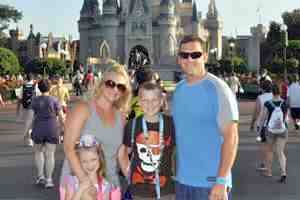 We’ve tried all four of the selections and everything was well done. While the guacamole and salsa seemed to be of off-the-shelf varieties, every other element tasted great. The quality is very competitive with the food available at Moe’s Southwest Grill in CityWalk. The meat is seasoned well, the toppings flavorful and the tortilla chips on the side are much higher quality than you would expect at a theme park. Our favorite tacos are the Carne Asada, and the Korean Beef. Does not participate, but has UDP snack/beverage items.